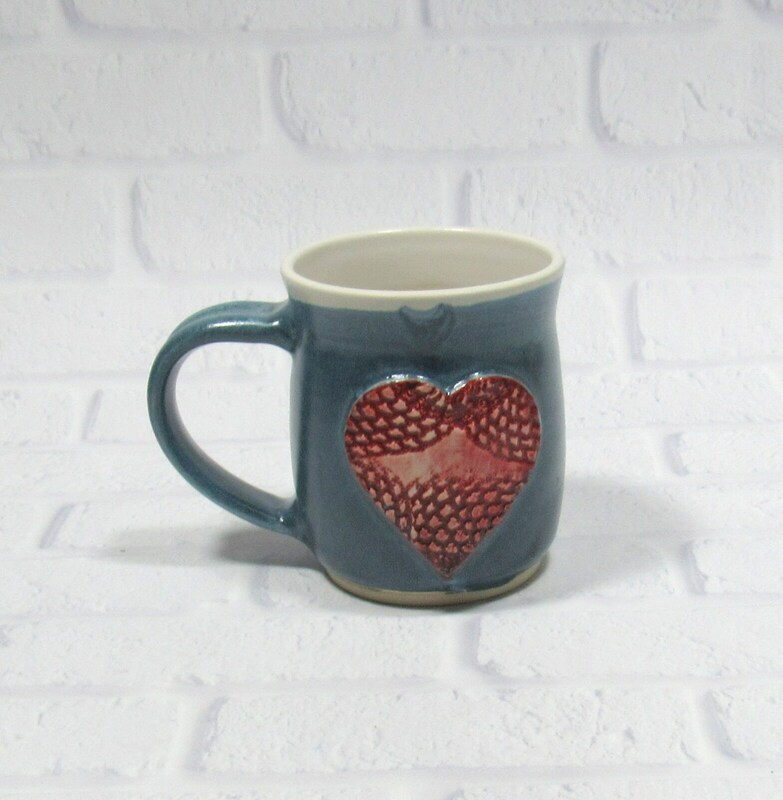 Great Mother's Day gift for Mom or Grandma. 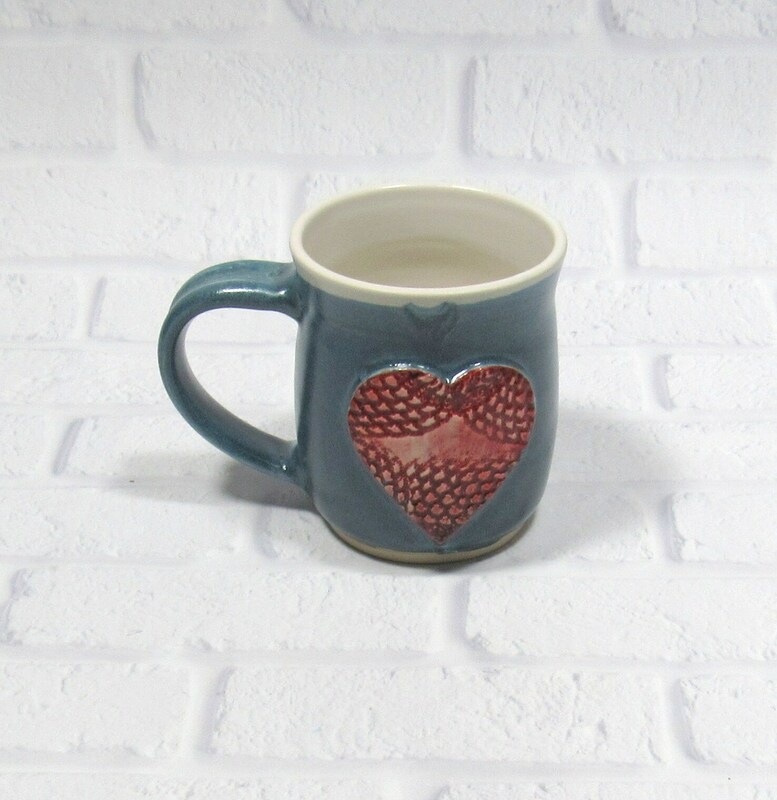 Also makes a wonderful Teacher gift. 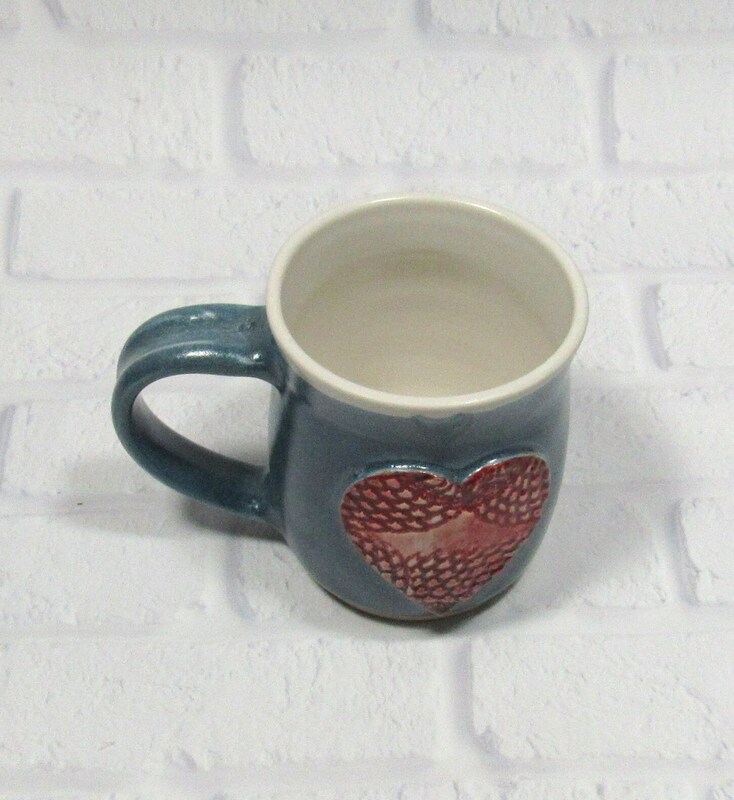 I made these mugs as favors for my daughter's wedding and everyone loved them, so I thought I would also offer them for sale. 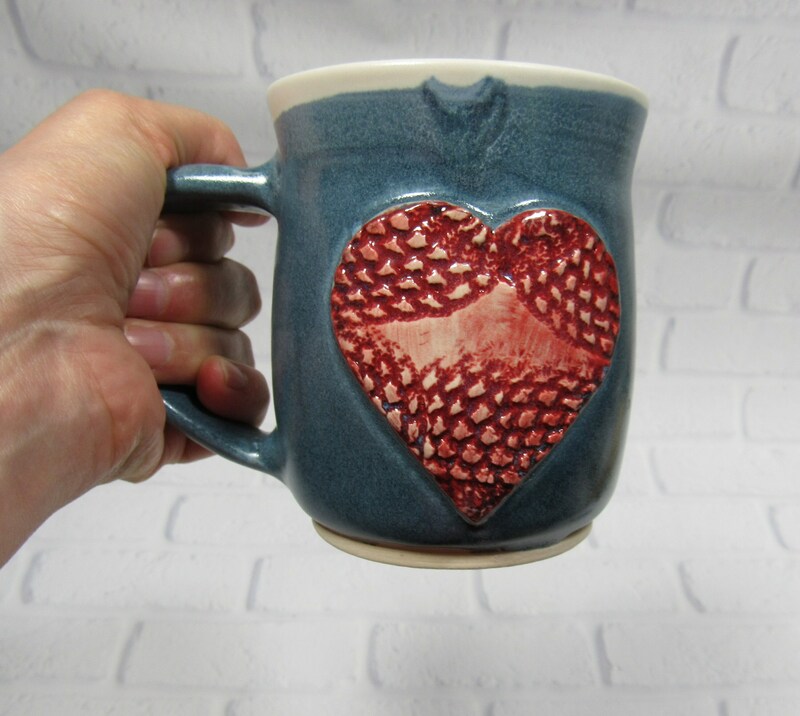 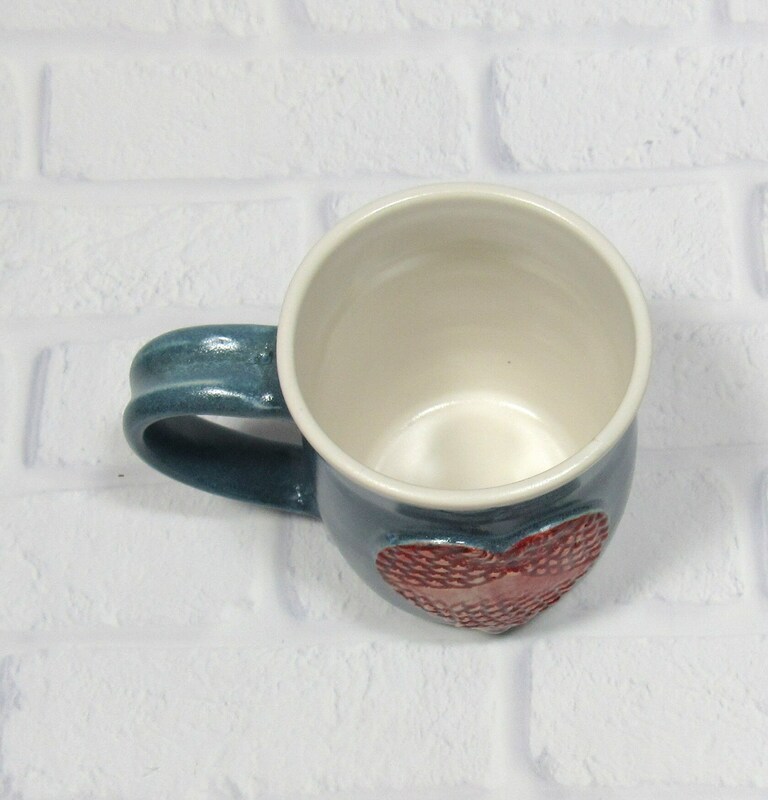 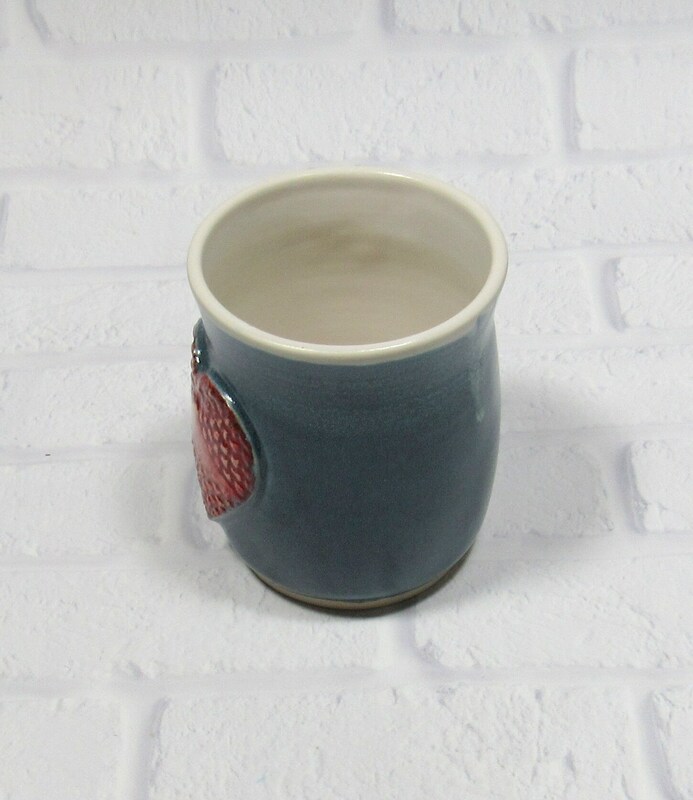 Gorgeous blue and white mug with one large textured red heart. 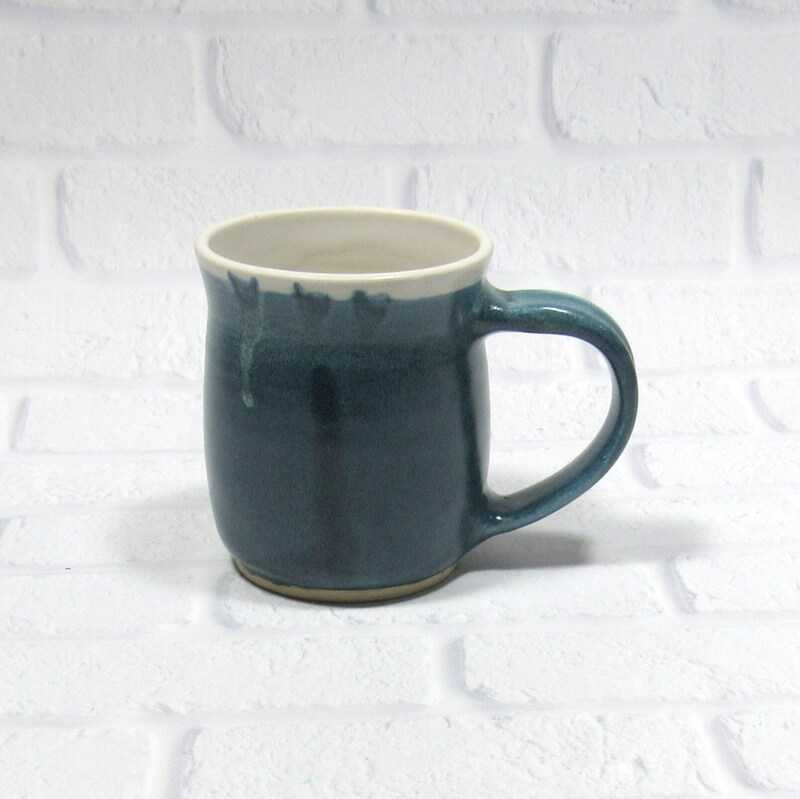 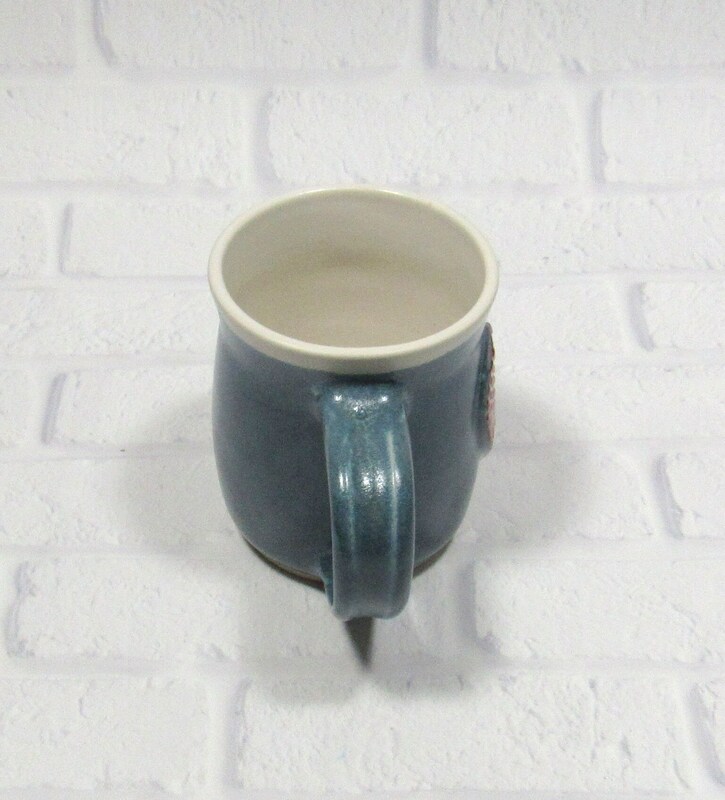 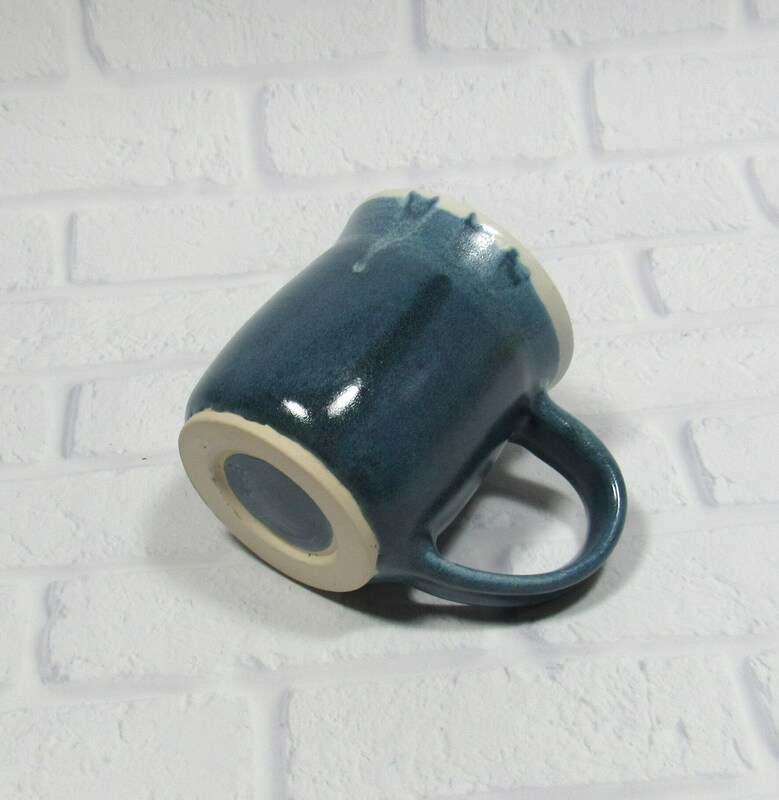 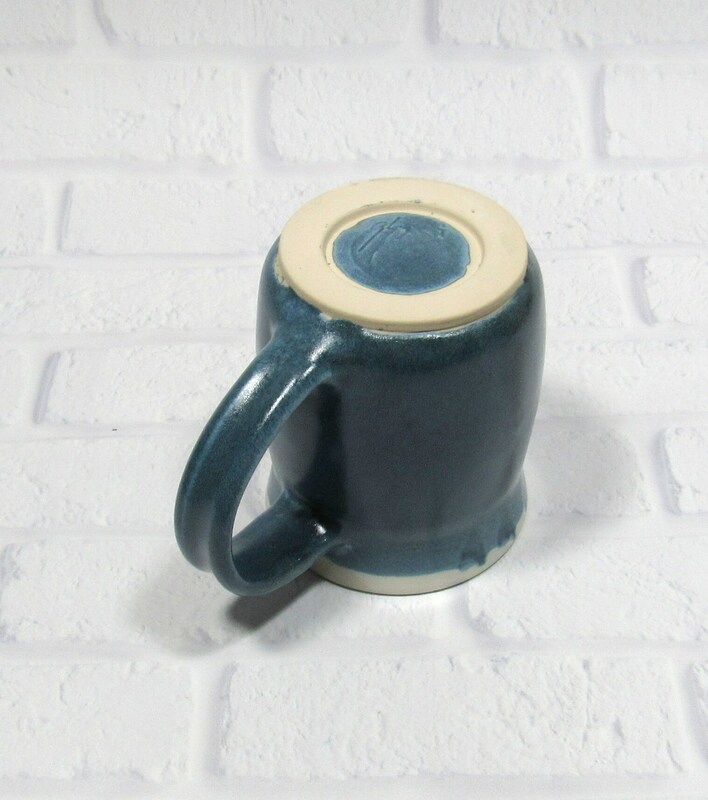 The pottery mug is 4 inches tall and holds almost 2 cups.